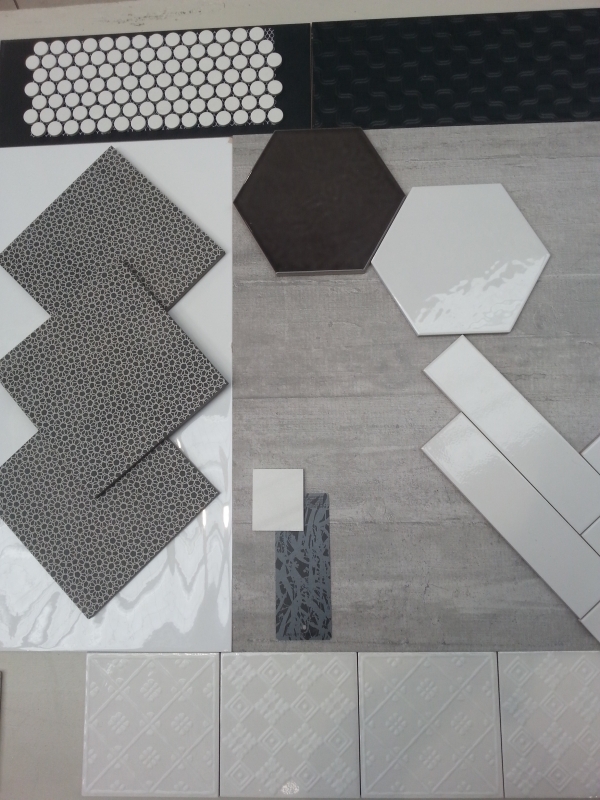 Tile Trends - Greys are the hottest thing in design at the moment - it's the new white! Each week our Design Team will bring you new inspiring tile concepts based on what’s new and trending in the design world. Be inspired by themed concepts, seasonal trends and the best products you can get your hands on in Australia right here in Geelong West. 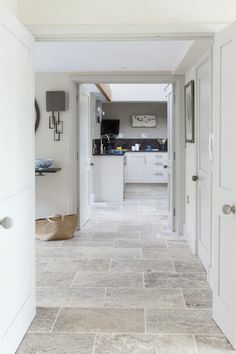 Greys are the hottest thing in design at the moment – it’s the new white! Having a neutral base that is fresh and modern allows subtle or bold colours to be added as an accent in furnishings and accessories. 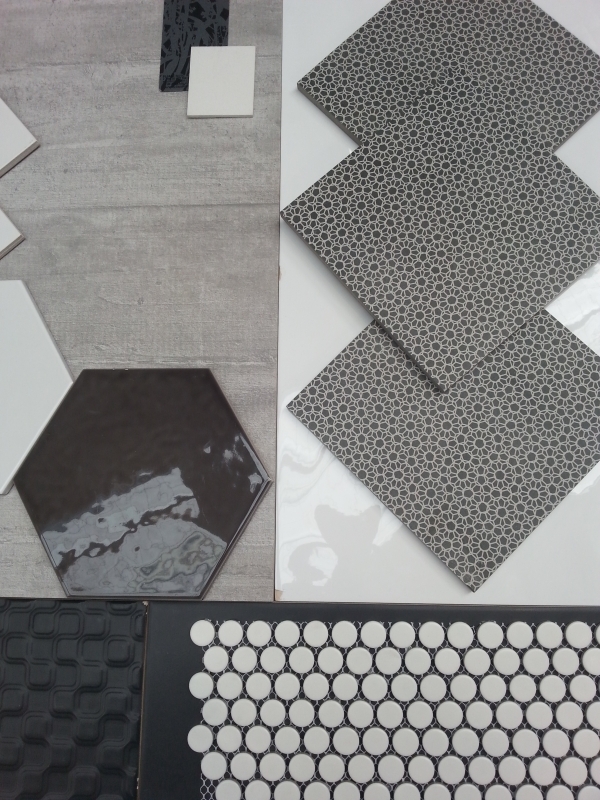 Layering various shades of greys along with whites, charcoals and blacks can help add balance to a space. Deeper dramatic tones of grey can give a room a sense of elegance and sophistication creating a relaxed and cosy mood. 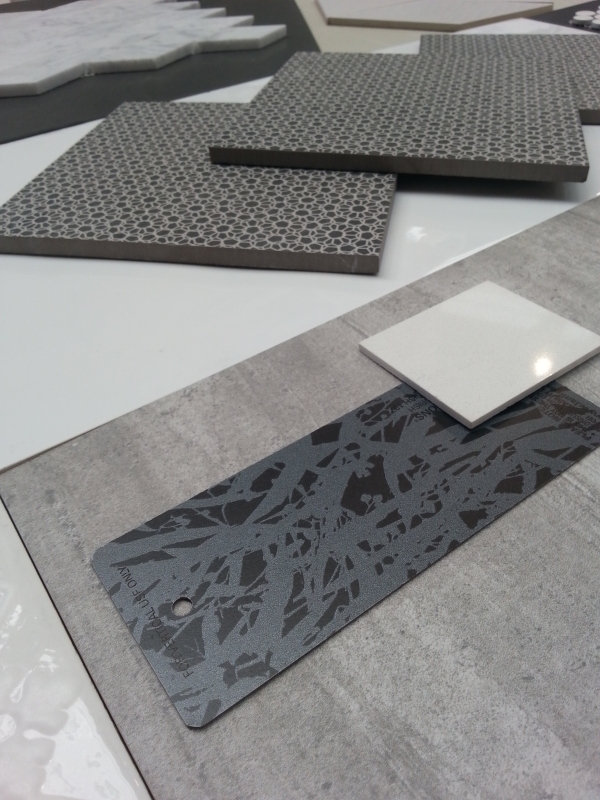 Classic, modern, industrial, contemporary – whatever your style greys can enhance your space. 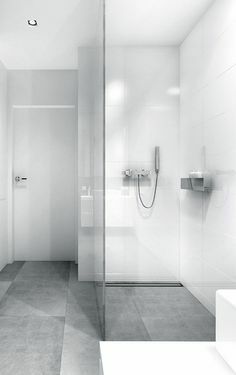 Used in a bathroom application grey is a stunning backdrop for the crisp whiteness of sanitary ware. 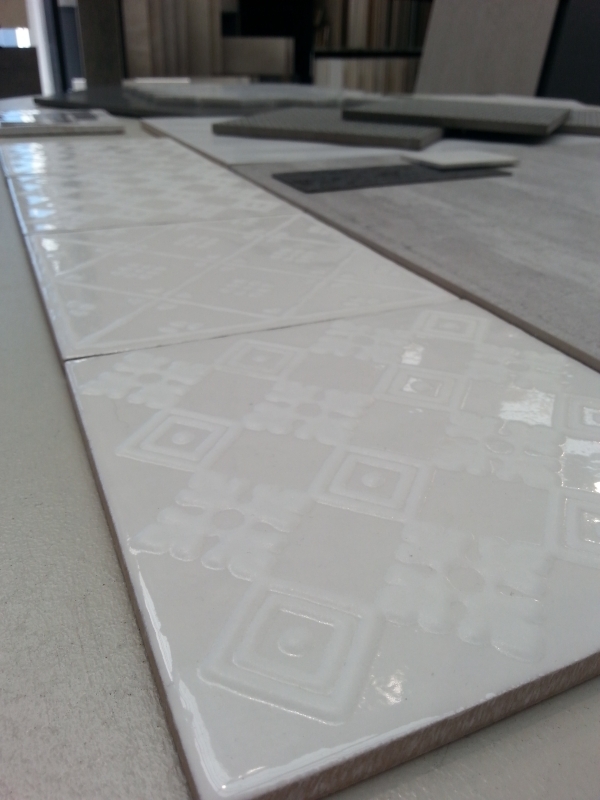 I’ve also included a variety of shapes and patterned tiles in our display. Adding shape and/or pattern to an area creates an instant focal point. 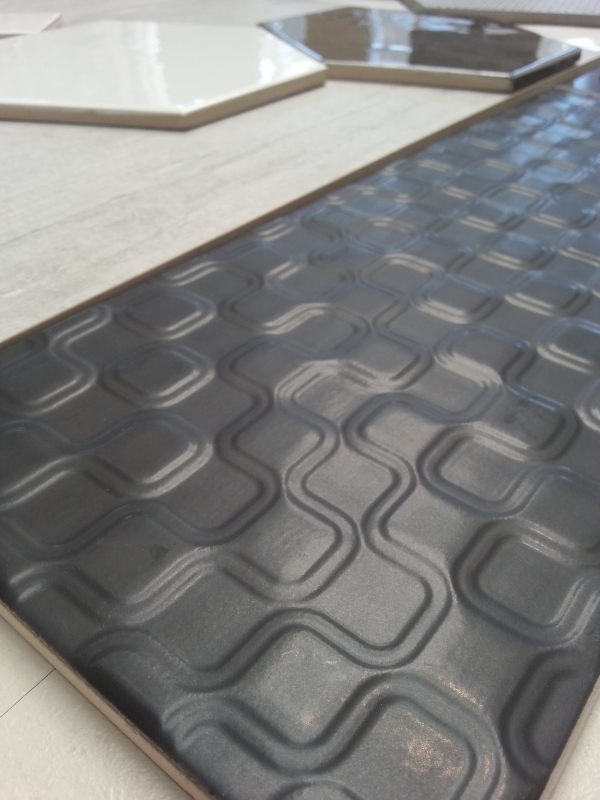 Hexagons, herringbone, rhombus and penny rounds are just a few of the shapes that designers are presently specifying. Embossed patterns, monochromatic colour ways and geometric designs are also adding interest to areas needing a bit of a spark! 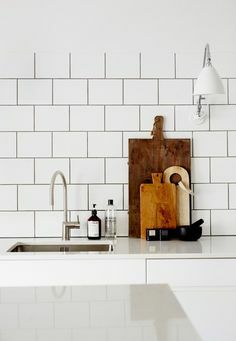 Handmade tiles have visual movement with their slightly uneven shape and finish for those who prefer a more subtle effect. Subscribe to our blogs on our website to receive weekly updates on each new display for your tile and design inspiration. 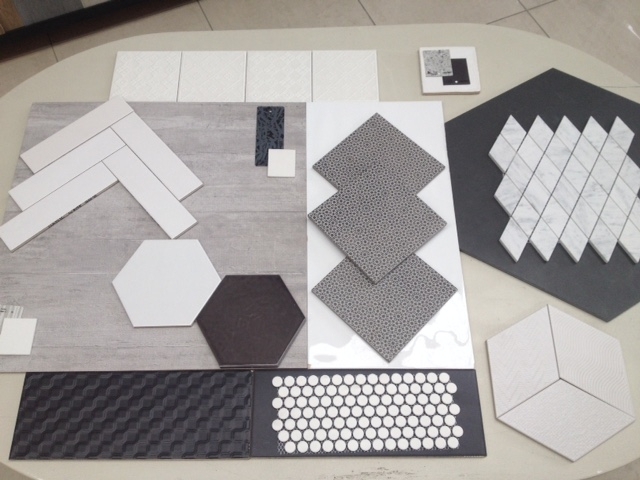 Need assistance with your tile and hard surface selection? Book your complimentary CONCEPT CONSULT appointment today with our Design Team – no obligations, just amazing products and expert advice.